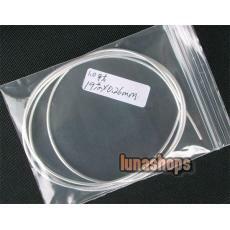 Genuine Acrolink Silver plated cable. 19 Pins×0.26mm, High quality Teflon outside safeguard, perfect solution for use in speaker, or diy erahone upgrade cable, 100cm long. If you need other length, please email us. Thanks. 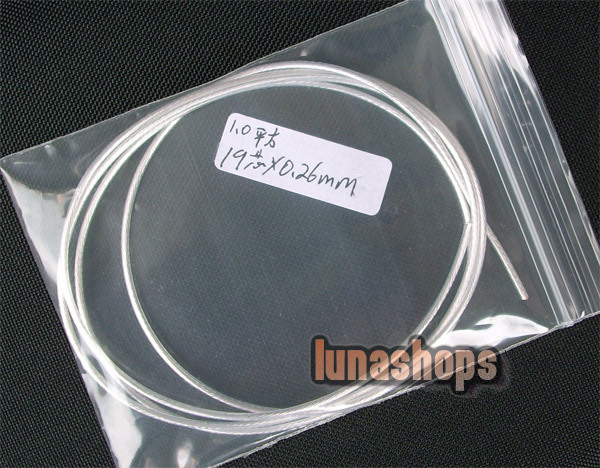 Tips: if you want to diy an earphone cable, you need to buy 3 pcs of this cable. how big is the wire outer diameter? I am guessing 0.26mm is not the Teflon diameter. Administrator:Hello, yes, just bid 2PCS. How many mm outer diameter ?